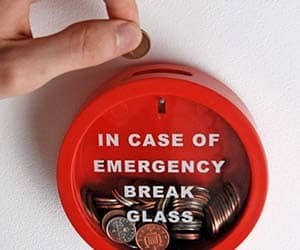 Saving for a rainy day has never been easier with this emergency money box. Once you deposit your coins the only way to get them back is by smashing the glass! Awesome!